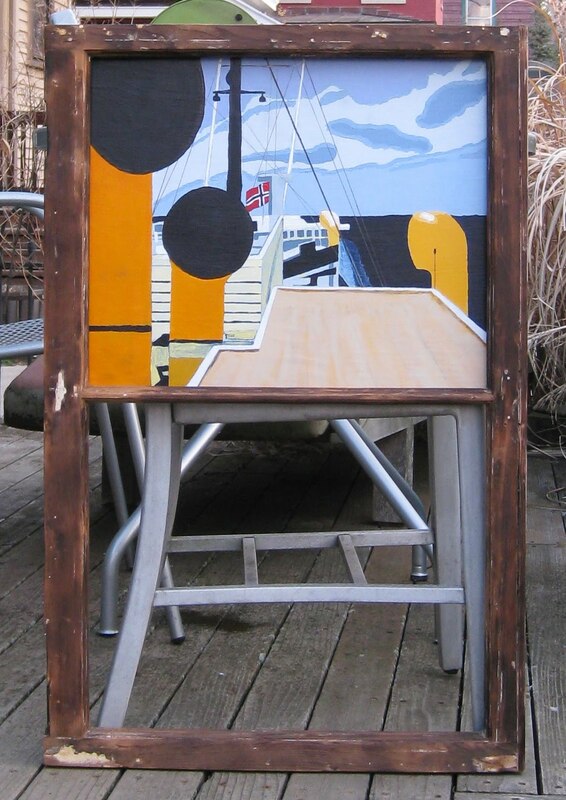 This painting is from a photo I took in the summer of 1964 when I was working aboard a Norwegian freighter, and is a work in progress. This is the top of 2 paintings that will be placed into the wood window as the frame. The wood window needs to be sanded more to take out some of the burn spots from when I removed the paint. The wood window frame came from my house as a result of replacing it with a new window. 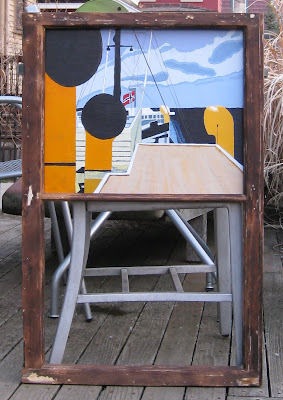 The painting is a view I had from my work station aboard the ship looking towards the back of the ship. The paint is acrylic. The "canvas" is MDO plywood, and measures 15"x18". I like it. I remember the photo and recognized this right off. You do nice work. Wish I had the ability to do some sort of art work. My daughter has this ability and neither one of us does. All I can do is play the drums or take pictures like on my blog. Glad warmer weather is coming so I can get out and take the pictures, I am not an all weather guy anymore. This promises to be an interesting piece, Fred. It's off to an excellent start.